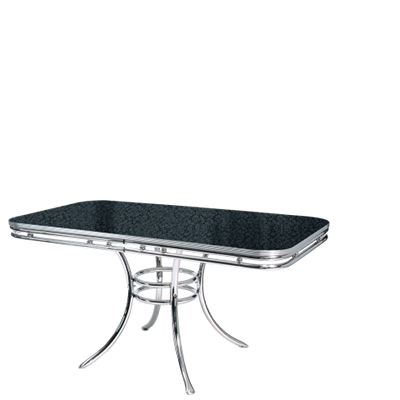 The WO-24 is a rectangular table with a chrome decorative rim which gives the table a beautiful vintage look. 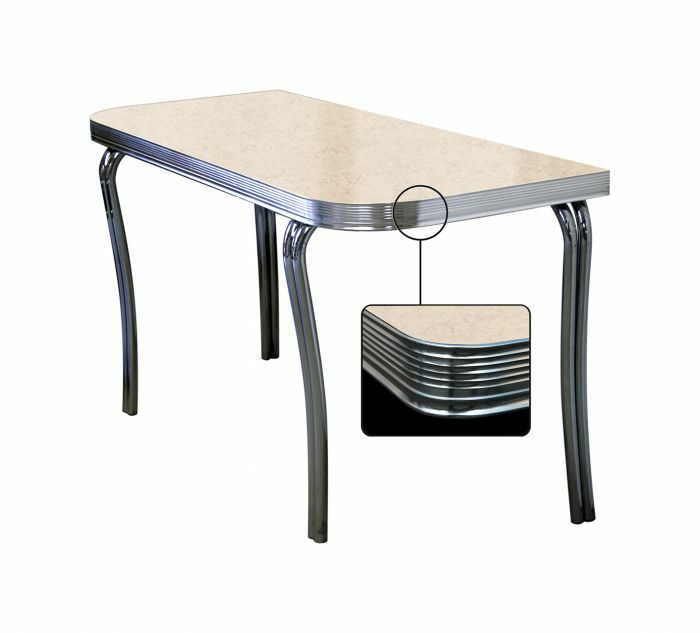 The tabletop is manufactured of longwearing Formica which allows the table to be used intensively for many years. 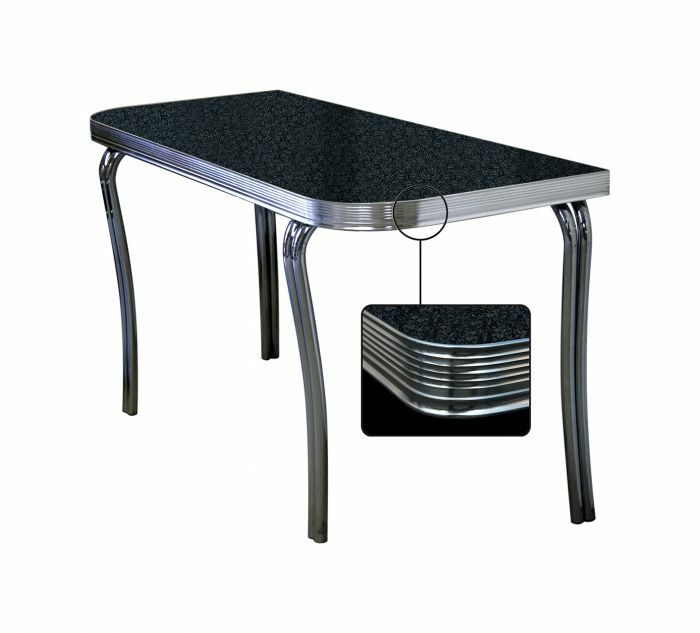 The table is an excellent combination with our assortment of booths.